The corn chip brand released the stylish socks for National Sock Day. There are a lot of weird holidays floating around the internet and social media hashtags, but perhaps one of the most practical is December 4: National Sock Day. (Okay, it’s also National Cookie Day, too but for now, we’re talkin’ socks). Socks are the gift nobody wants for Christmas or Hanukkah, but when you frame these cold weather necessities with their own special day of recognition, suddenly socks feel like they’re worth celebrating. And to celebrate, Frito-Lay chip brand Doritos is releasing a new product (other than Crunch Nuts), a colorful pair of chip-patterned socks. The crew socks by Foot Cardigan feature the familiar yellow-orange Doritos (we’re guessing Nacho Cheese) on a blue background. An open mouth, ready to chomp down on some chips sits directly on the joint between the foot and ankle. 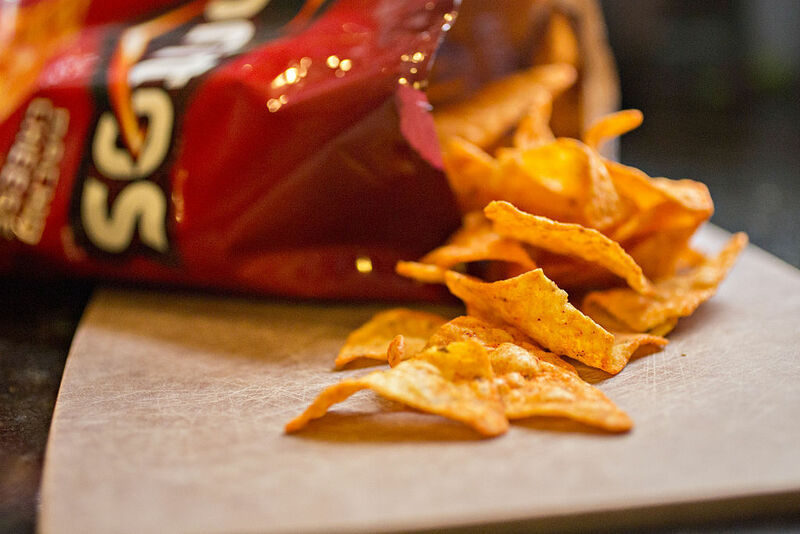 The Doritos logo is hidden on the footbed between the white-capped toe and heel. You can pre-order your own pair of Doritos socks from the Doritos Gear section of the Foot Cardigan store for just two weeks, starting today, December 4 through December 17. 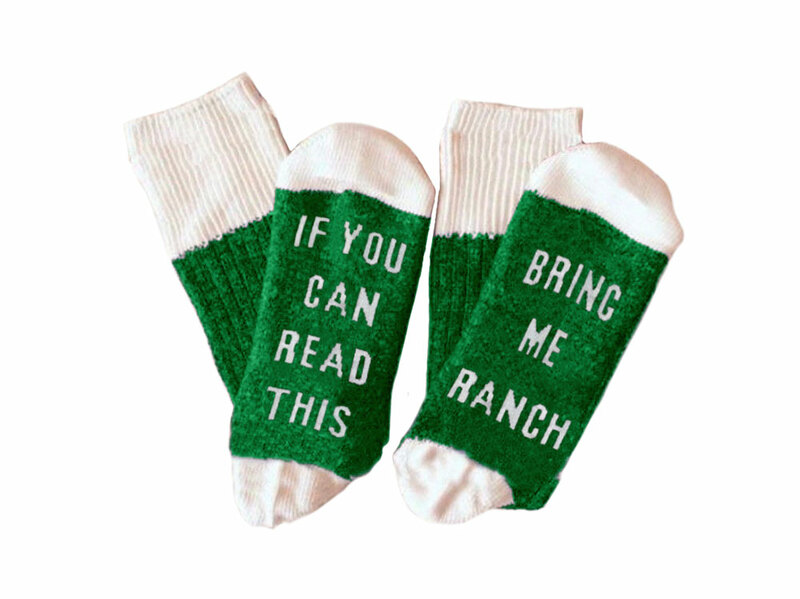 The socks cost $10 per pair and, in case you’re planning on giving these as a gift to the chip fanatic on your list, be aware that they might not ship until the New Year. Food and fashion are certainly crossing over more and more in recent months. Kentucky Fried Chicken released a whole line of Instagram-ready clothing. McDonald’s put out some stylish threads that could be delivered straight to your door via Uber Eats. Taco Bell teamed up with Forever21 on a line of millennial-targeted apparel. 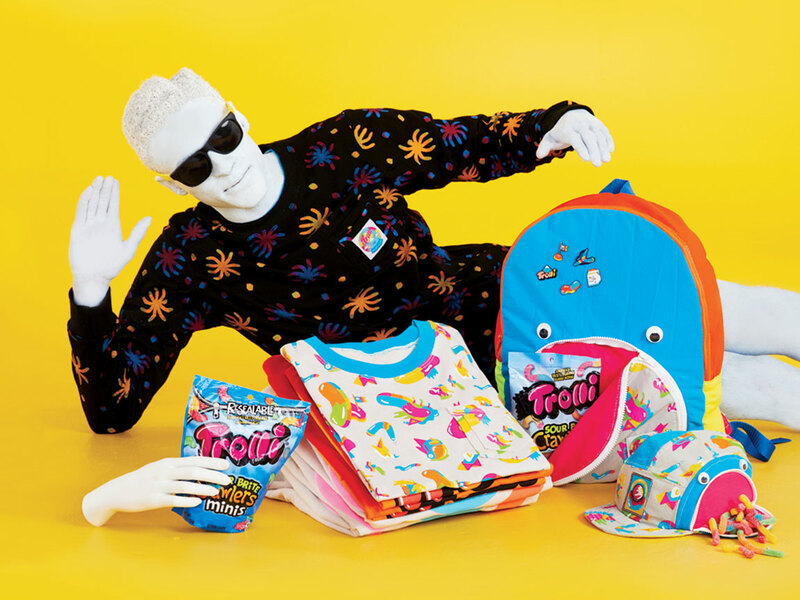 Trolli Sour gummies are now printed on a line of Mokuyobi clothing and accessories that look straight out of the ‘90s. Fashion designer Telfar brought his eye to White Castle’s new uniforms. And if dressing yourself in your favorite dressing is up your alley, you can even snag some Hidden Valley Ranch clothing. Of course, ’tis the season for winter holiday-wear, so don’t forget to grab a few food-themed ugly Christmas sweaters to stay cozy into the New Year.